Tisch has led Loews expansion and emergence as a leading hotel company with a widely praised culture that embraces the power of partnerships – with team members, guests, communities and owners. He was voted “Hotelier of the World” by HOTELS magazine. 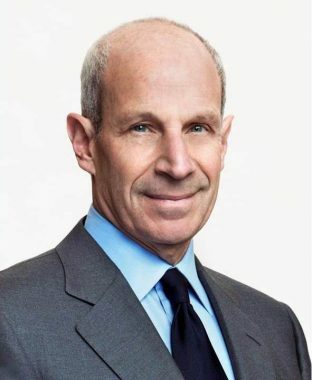 Recognized nationally as a leader of the multi-billion dollar travel and tourism industry, Tisch is Chairman Emeritus of the United States Travel Association, and previously founded and served as Chairman of the Travel Business Roundtable, as well as the American Hotel and Lodging Association. Committed to a vibrant tourism industry locally, for nearly six years Tisch served as Chairman of NYC & Company, the city’s official tourism agency, and was Chairman of New York Rising, established to bring back visitors and revive the economy after 9/11. Crain’s New York Business named him one of the “Top Ten Most Influential Business Leaders” and inducted him to their Hall of Fame, which recognizes individuals who have transformed the City in both their professional work and in their civic and philanthropic activities. Tisch is the author of three best-selling books: The Power of We: Succeeding through Partnerships; Chocolates on the Pillow Aren’t Enough: Reinventing the Customer Experience; and Citizen You: Doing Your Part to Change the World. He was the host of the Emmy-nominated television series Beyond the Boardroom. Tisch is a champion of corporate responsibility and active citizenship. More than 25 years ago, he initiated the Loews Hotels Good Neighbor Policy, a recipient of the US President’s Service Award. He is vice chairman of the Board of Trustees of his alma mater Tufts University, and is also the naming benefactor of the Jonathan M. Tisch College of Civic Life at Tufts. And last year he was honored by the NYU School of Professional Studies with the naming of the Jonathan M. Tisch Center of Hospitality, of which he has been a driving force for years. He is a founding board member and Vice Chair of The Shed, New York’s new cultural center designed to commission, produce, and present all types of performing arts, visual arts, and popular culture.